What, you may wonder is the relationship between Trastevere, Pope John Paul II and this blog. Serendipitous, that's what! 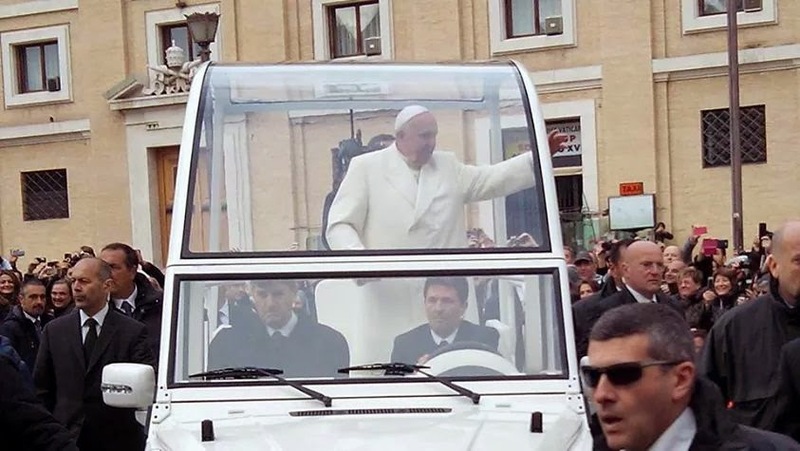 On the day that John Paul II was beatified (a step away from sainthood), my sister, my husband and I braved the crowds to get to the vicinity of the Vatican. We were told that we didn't need a pass or ticket to get in. Naive people that we were, we believed it! Were we ever wrong! We could not even get anywhere near the Vatican. So we ended up walking southward until we got to Ponte Sisto, an ancient footbridge reconstructed by Pope Sixtus IV, hence it's name, leading to Trastevere. And that's how we got to Trastevere, which became one of my favorite places in Rome! An eclectic enclave, it is charming, picturesque, historical. It is also hip, trendy and, oh yes, seedy in some areas. 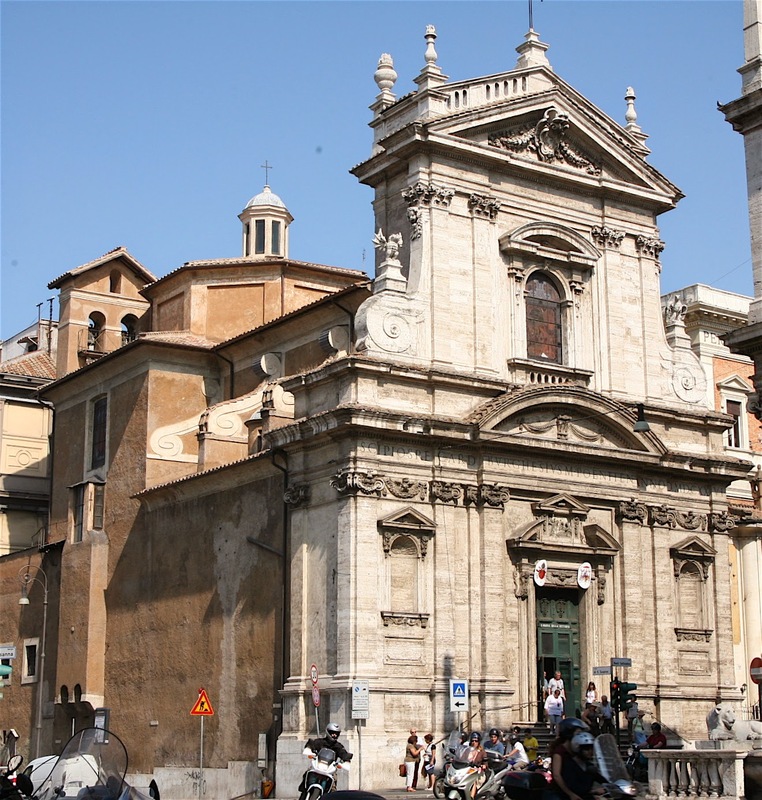 It is the 13th Rioni (town or district) of Rome and considered one of its most beautiful neighborhoods. 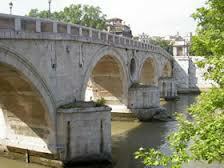 When we entered Trastevere through the Ponte Sisto that first time, the streets were empty and eerily quiet. We were to find out later that this was indeed a rare sight. In ancient times, Trastevere which means beyond the Tiber, was a "poor" area, home to sailors and fishermen who made their living on the Tiber. There was also a large Jewish community. But during the Imperial age, Rome's elite started to build villas in Trastevere. Julius Caesar, Livia, wife of Octavian, Julius Caesar's heir and Marcus Vispanius Agrippa had villas built in Trastevere. Today, the sites of those ancient villas are being unearthed. However, even with the movement of the elite to Trastevere, it remained an area of narrow and winding streets. Sixtus IV paved the streets with bricks, which were later changed to cobblestones to accomodate carriages. To this day, the streets of Trastevere, are narrow and winding, but lined by charming houses, apartments, shops, restaurants, bars and coffee houses. 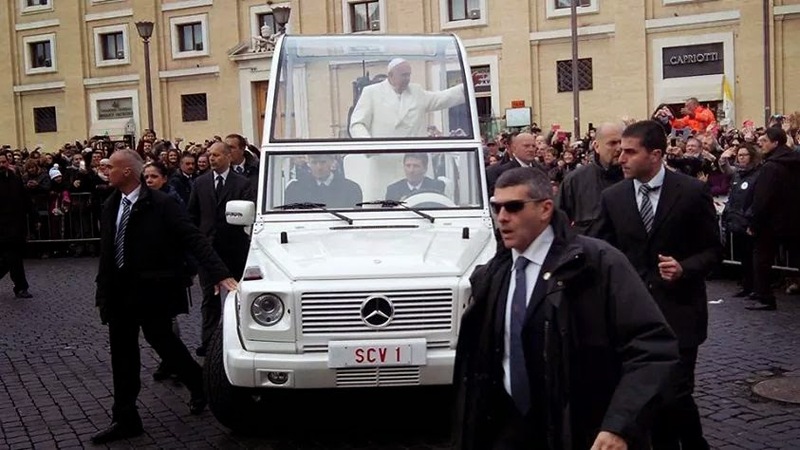 On the day of John Paul II's beatification, the streets of Trastevere were as empty as most of Rome's streets, the people having converged on the Vatican by the thousands! 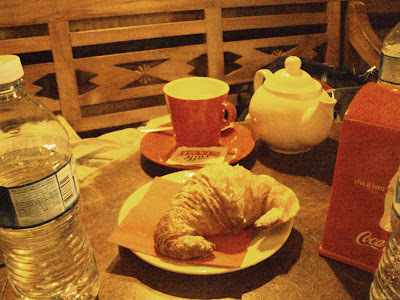 We ended up in a charming coffee shop, Caffe della Scala, the only coffee house that was open at the time. It was pleasant in that little cafe, we occupied one table and there was only one other table occupied by a couple. We ended up watching the proceedings in the Vatican on the cafe's television, while enjoying cornettos and cups of espresso. After breakfast, we decided to walk to the nearest chruch to hear mass. We ended up in the Church of Santa Maria in Trastevere. There is a piazza in front of this church which we would return to many more times. This piazza is one of the most popular gathering sites in Trastevere. It's fountain is believed to be the oldest in Rome, dating back to the 8th century. The fountain as it is today is believed to have been the work of Donato Bramante with some later work done by Gian Lorenzo Bernini. 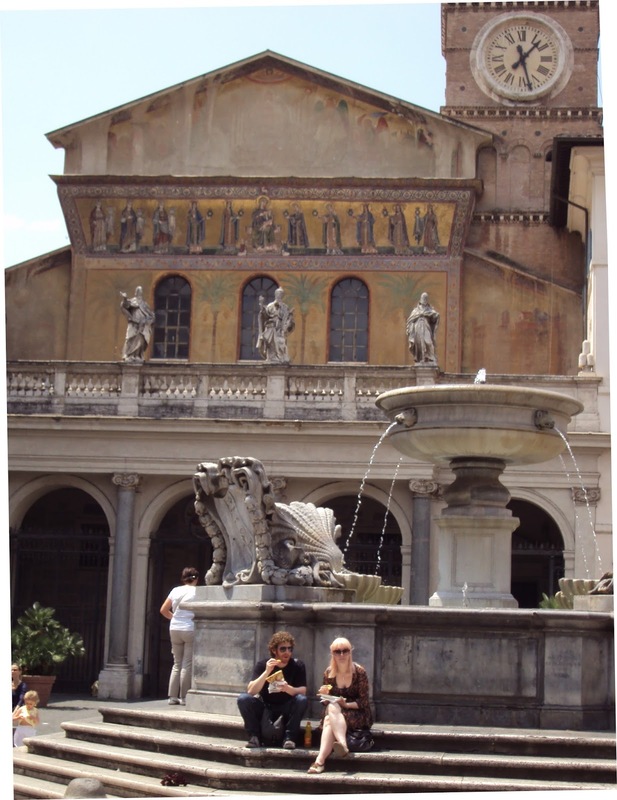 On this piazza also one will find several restaurants where one can dine alfresco, roman style. Fellini, a famous Italian film maker, filmed segments of his film Roma here in this Piazza. One of the restaurants, Sabatini was featured in this movie. My mother, remembering this film, asked me to find out if Sabatini still existed. It is still there. So, with it's ancient sites, and glorious ruins, one also comes across establishments like Sabatini! No wonder some people call Rome "the eternal city". My husband and I decided to eat there once for lunch. The restaurant is picturesque, the paper placemats bear Trastevere's coat of arms, the food... well it was ok if a bit overpriced. 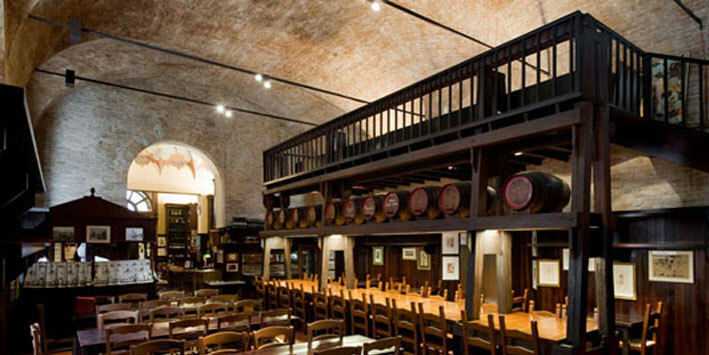 The other times we visited, we simply strolled down the cobbled stone and chose a restaurant at random. 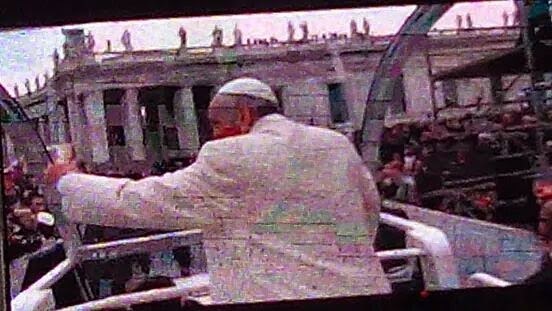 On the day of John Paul II's beatification, the piazza was quiet, clean and almost empty. But on our subsequent visits, we saw it's true character. There were crowds of people of different nationalities, ethnic backgrounds, ages, orientations and states of inebriation. We were told this piazza is a known gathering place for drunks. My three sisters and I took a mosaic making course in the City of Ravenna, a UNESCO designated World Heritage Site, primarily because of it's unique collection of early Christian mosaics and monuments. 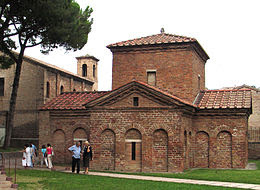 From being the seat of the Western Roman Empire in the 5th century, Ravenna became a Gothic Kingdom when conqured by the Ostrogoths, who were in turn driven out by Justinian I, who made Ravenna the seat of the Byzantine Empire in Italy. At this time Europe was in the midst of what came to be called it's Dark Ages, Ravenna however was at the pinnacle of it's influence and power. 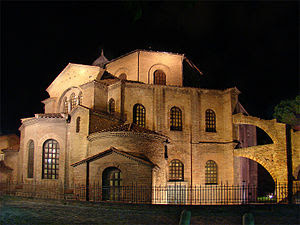 It was at this time that most of the churches and monuments designated as Unesco Heritage sites were built. 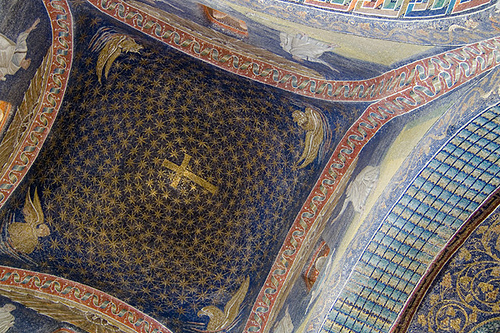 Ravenna is called the City of Mosaics for good reason, becoming the center of mosaic making in the 6th century when it became the seat of the Byzantine Empire. 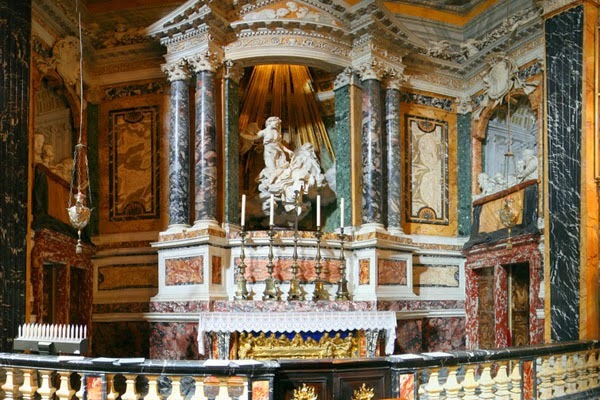 Today, it's greatest attraction is its collection of mosaic masterpieces found in its churches and mausoleums. 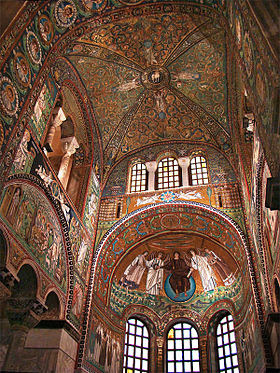 Because of her ties with the Byzantine Empire, Ravenna is believed to have the finest Byzantine mosaics outside of Istanbul. Most of the early churches like the Basilica of San Vitale are covered with brilliant, glittering mosaics, the intervening centuries seeming not to have changed them in any way. 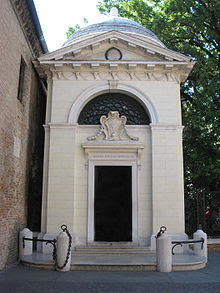 The Mausoleum of Galla Placida is a rather plain brick structure with small windows on the outside. Therefore, one is unprepared for what is inside. When I walked in, my eyes needed to adjust to the rather dim interior due to the fact that the small openings were covered in alabaster (a type of fine grained, translucent white mineral which are usually made into vases, statues etc). But once adjusted, my eyes were immediately drawn upward to a starry night sky, a lovely mosaic on the vault of the mausoleum! Beautiful! And then the assault on the senses, from all sides, figures, stars, flowers, geometric designs and color, and more color, it was an awe-inspiring sight! Alongside these ancient structures and monuments, one can also see the tomb of Dante Alighieri, author of the Divine Comedy and one of Italy's supreme poets. He died in Ravenna in 1321, having been exiled from Florence. 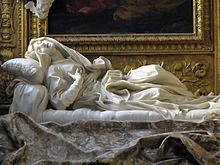 His remains were never returned to Florence, the Ravenans refused to give him up, saying that Florence "did not welcome him in life, so she did not deserve him in death." Ravenna's city center is compact and is generally car free. Free use of bicycles parked around the city makes it a popular mode of transportation for those who can navigate cobbled stone streets. We preferred to walk. Signs are prominently displayed so it is not difficult to find your way. Because there was an evening mass, just as our mosaic classes ended, we would attend mass which would finish just as the restaurants opened their doors for dinner. The number of people attending mass could be counted on 1 hand (excluding us the 4 sisters). The masses were said in a small side chapel. Sunday mass was not much better attended, and most of them were middle-aged or elderly. And to think we were in Italy! Entry into the older part of the city was through an archway. The side streets are narrow, the buildings painted in different hues of beige and terra cota. 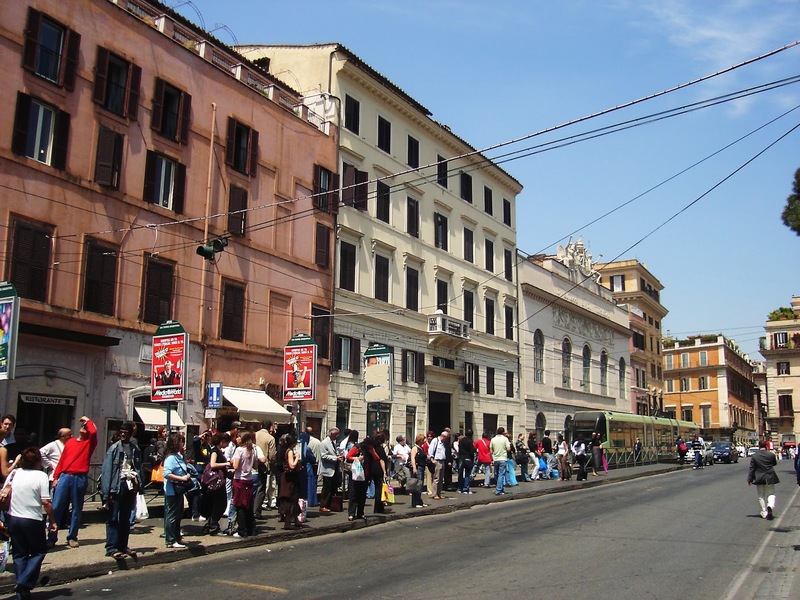 The shops are small, mostly specialty shops, gellaterias (ice cream), macellerias (butcher), panetteria (bakery), enoteca (wine) and the ever present tabacchi (tobacco store, Italians are still heavy smokers). There are also souvenir shops and not to be missed, the colorful mosaic supply store selling smalti, millefiore, tiles and whatever else one needs to make a mosaic. Ravenna's charm also captivates with simple but unforgettable sites like these cattails guarding an entrance to an apartment complex. And this bush found in the courtyard of a basilica. 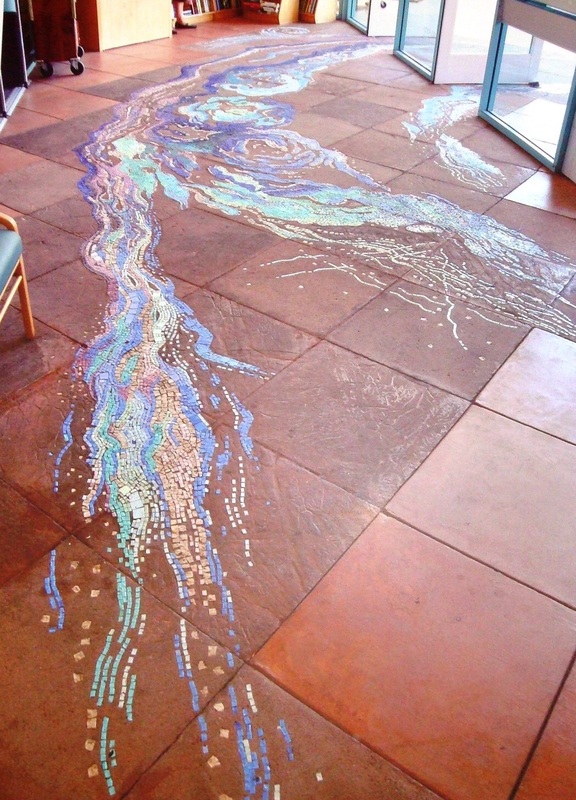 And as a reminder of it's glorious mosaic making history, modern mosaics with a sense of humor! And in the park, a three dimensional mosaic of a bench with a forgotten coat. This one was done by Lucianno Noturnni, a world renowned mosaicist, whose school we attended. We ate in many family owned restaurants when we were in Ravenna, but on the last day we decided to eat at a highly recommended restaurant Ca' de Ven. Ambiance was fantastic, wine was excellent. Food, well most of what we ate while in Ravenna could compare.